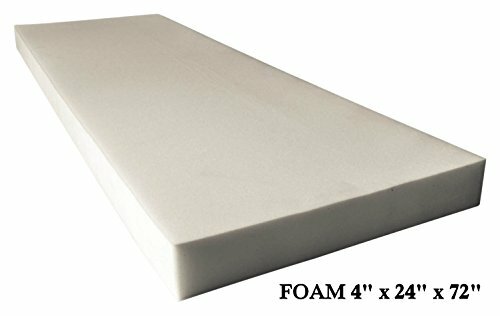 Morning Glory 24" x 36"x 3" High Density Craft and Cushion FoamCategory: Craft Foam PadsHigh density foam provides ultimate support for all your craft and re-upholstery projects. Morning Glory 18"x18"x2" High Density Craft and Cushion FoamCategory: Craft Foam PadsHigh density foam provides ultimate support for all your craft and re-upholstery projects. 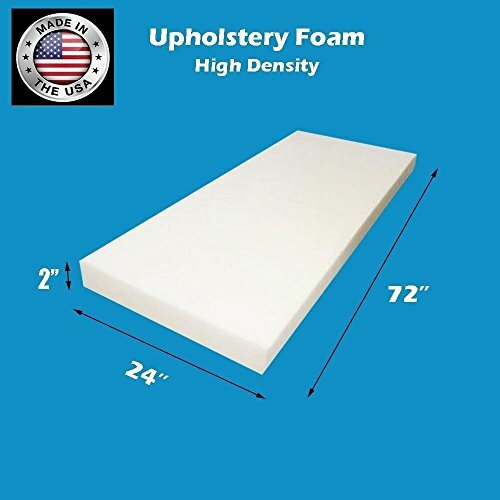 Morning Glory High Density Craft & Cushion Foam, 24" x 36" x 2", 1 EachCategory: Craft Foam PadsHigh density foam provides ultimate support for all your craft and re-upholstery projects. White EVA Foam Sheet, 9 inch x 12 inch, 6 mm- Extra Thick! 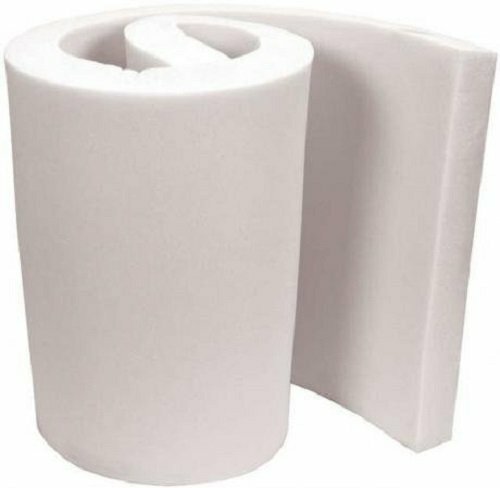 Great for Crafts!Category: Craft Foam PadsBetter Crafts White EVA Foam Sheets are perfect for creativity & crafts! These sheets are of premium quality, being extra thick, non-stick, non-toxic, & non-allergic. Its smooth surface makes it great to use with pen, marker, glue, ornaments etc.! Being practical to work with & easy to cut, these sheets are kids- friendly & fun! 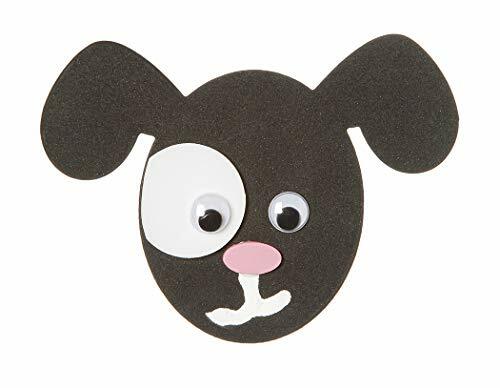 With Better Crafts Black EVA Foam Sheets, possibilities for creativity in the classroom or at home are unlimited! Note: Do not expose to open flames. 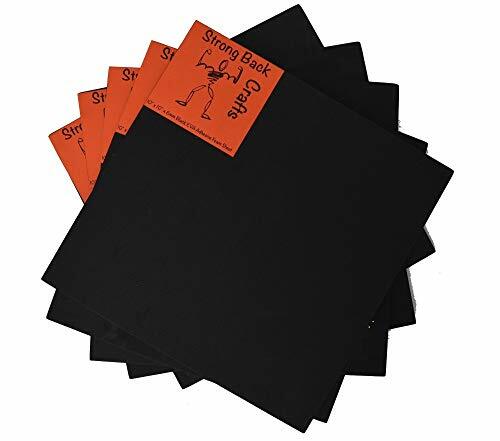 Black EVA Foam Sheet, 9 inch x 12 inch, 6mm- Thick! 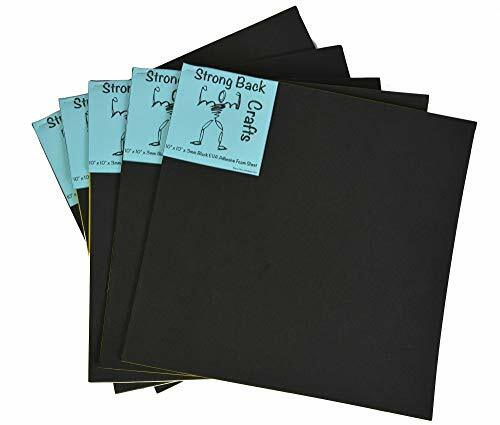 Great for Crafts! 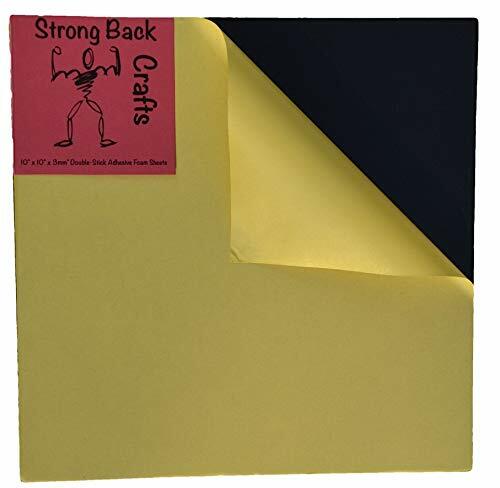 (20 pack)Category: Craft Foam PadsSUPERIOR QUALITY- Made of Premium EVA Material with smooth surface & featuring an extra thickness of 6mm makes them strong, yet easy enough to cut with die-cutters, scissors, or craft knives. Fairfield Project Foam Multi-Purpose Foam, 24" x 72" x 1", 1 EachCategory: Craft Foam PadsMulti-purpose soft and supportive polyurethane foam for a variety of household projects. Insulating, protective and durable. Contains bio-based materials. Soft Support Cushion Foam Available in Multiple SizesCategory: Craft Foam PadsThis polyurethane upholstery foam called, Cushion Foam, is intended for home-style projects where high density material and support are important. Cushion foam contains bio-based materials (derived from renewable biological resources) so you can take comfort that this product has been created with the environment in mind. 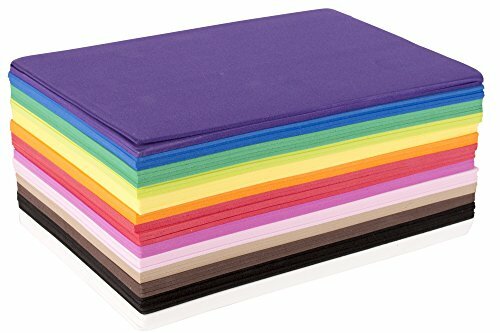 Fairfield Nu-Foam Pad - 10" x 26" - 6 PiecesCategory: Craft Foam PadsNu-Foam is the ideal filler for baby bumper pads. 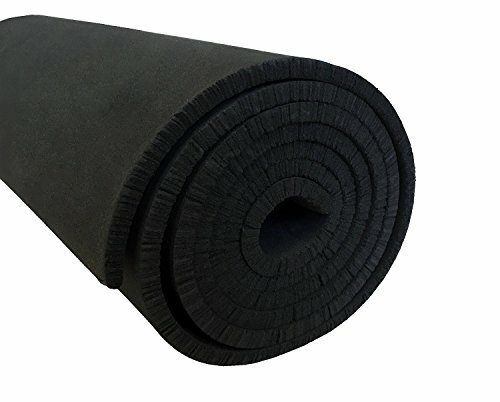 XCEL Neoprene Rubber Roll for Cosplay Armor Costume Fabrication Craft Foam Sheet 54"x12"x1/4"Category: Craft Foam PadsPRODUCT DESCRIPTION: XCEL’s neoprene sponge rubber roll is perfect for costume fabrication as well as a wide variety of arts and crafts. Lightweight, durable and versatile, our rubber can be easily cut to size within scissors and razors. It is also very moldable and flexible and can formed to shape by apply heat with a hair dryer or heat gun. Whether you have an art project around the corner or an upcoming convention for which you want to look you best, our rubber rolls will fit your needs. 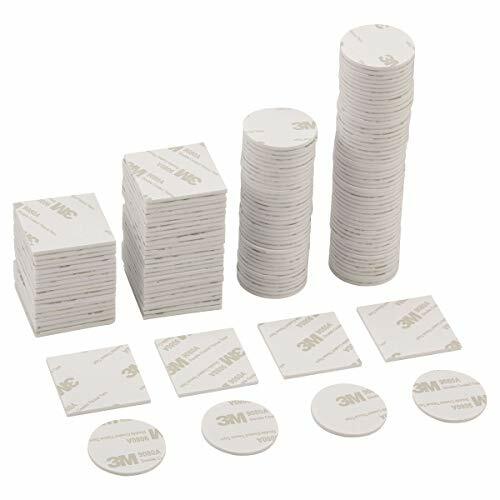 PRODUCT FEATURES: Tear resistant and durable and yet easy to cut. The rubber mat roll also works well for soundproofing, insulation, sealing, or dampening speaker vibration. The smooth texture is similar to that found in wetsuit material, it can easily be manipulated by hand and heat set with a heat gun for crafts and creating unique cosplay costumes. Measures 54 in. x 1 ft., 1/4 in. thick. COSTUME FABRICATION: Whether you need to create pieces for your next suit of armor, a stylish facemask, or padding for the hilt of your sword of scythe, our material will fit the bill. Countless customers have come back to us and said that our neoprene sponge rubber roll has helped them put the finishing touches on their latest cosplay masterpiece. ARTS & CRAFTS: Art projects are fun, but they can also be very demanding and finding the right material to help you bring your vision to life can be difficult so let us help. Our material is incredible versatile—it can be easily cut, formed, and molded with heat. Once you achieve the size, shape, and form you need it can also be painted or drawn upon with paint markers you can find at your local craft store. Our rubber sheets can be rolled, folded, cut, stretched, formed, or molded into whatever you need to make sure you project looks its best. ENVIRONMENTALLY FRIENDLY: In the last few years, our company’s owner decided that landfills and product waste is a thing of the past. We began making strives in our effort to reduce and reuse our materials and provide our customers with higher-quality, eco-friendly products. This became the driving force for our company efforts, which started with toolbox liners made from our upcycled and recycled materials; and now almost all of our products are made with repurposed materials. QUALITY AND COMFORT: Here at XCEL, we are focused on providing you with the best rubber products to make your life easier. Using industrial grade materials, we are consistently pushing to make products that improve the quality of any situation. From our anti-fatigue mats, to our rubber floor tiles, we want you to experience the comfort you deserve, with the peace of mind knowing that what you get is expertly crafted and long-lasting. AMERICAN MADE: XCEL is a small, private company based in the United States and we are dedicated to providing our customers with top quality, American made goods. All of our products are made using only the best materials found here in the United States. We believe in staying true to our roots and supporting the country we were raised in. Fairfield Project Foam Multi-Purpose Foam, 24" x 72" x 2", 1 EachCategory: Craft Foam PadsMulti-purpose soft and supportive polyurethane foam for a variety of household projects. Insulating, protective and durable. Contains bio-based materials. How to use foam pads. To see more tutorials like this from Pretty Witty Cakes, visit our website at www.prettywittycakes.co.uk Thanks for watching!